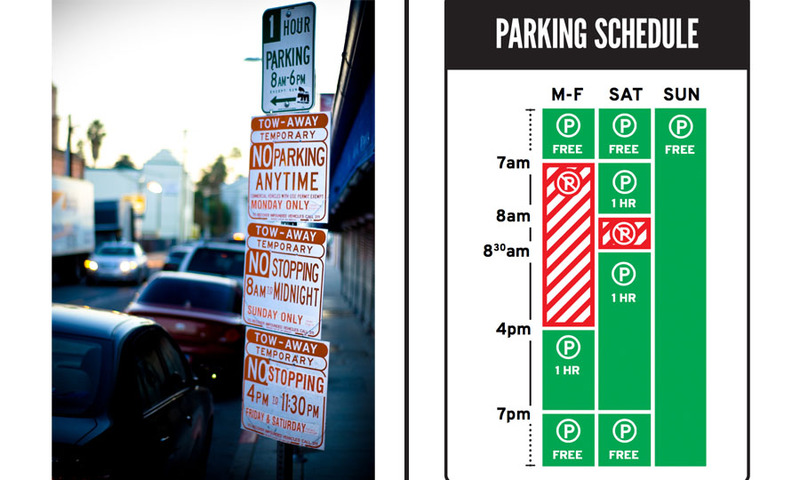 As Fig.1 showing, it is two examples of the parking signs. I believe that we could pick the better design one in 5 seconds from this two, this should be a super simple question. Because the right one looks simple and well aesthetic. Attractive things certainly should be preferred over ugly ones (Norman, 1). But for what reason, why we would like to take more time on understanding those beautiful sense. I will use some design example and the emotion and attractive theory to try to explain this phenomenon. At first, introduce two theories in the psychology field. Bad emotion will create pressure, anxiety, fear, anger and finally force people avoid the thing which offer those emotion to them, and the other choice for them, is force themselves on focusing finding a way to solve this problem. You could notice that, whether what the final choice they will make, they already treat the things they will face as a kind of problem. While the Good Emotion which means the curious and attractive will arouse users’ creativity and desire. And finally, they will be willing to use different way to understand and trying the same thing. For the interface and usability design, this means they would like to use more time stay in the interface and try different functions, sometimes they will also like to repeat trying the same thing. Therefore, a good designer will have the goal to let their design support the good emotion. But how and what is the meaning of good emotion from the good design, is it only means that the design should be beautiful? Aesthetics is an important part and should be the most subjective part in the design area. People have different background, gender, education with different culture will have totally different understand in this field. Like in ancient China treat the black color with the meaning of void, but in ancient Greek, they think black means solid (Gage, 11). There is also an ATM example come from Norman’s book, that they set two ATM for design testing, but have different result when use the same design test in Japan, and in Israelis (Norman, 1). Therefore, we may come out the question if there is something or someway helping us doing the design for control the users’ emotion? The answer is yes, based on the theory mentioned above, since we have the understanding about what is the bad emotion and what is the good emotion, then we could utilize the theory to consider what should be a good design. At least, it is not a battle for users or scare them let them run away. Come back to the first example showing as the Fig.1. Focus on the left example showing as the Fig.4, at first. 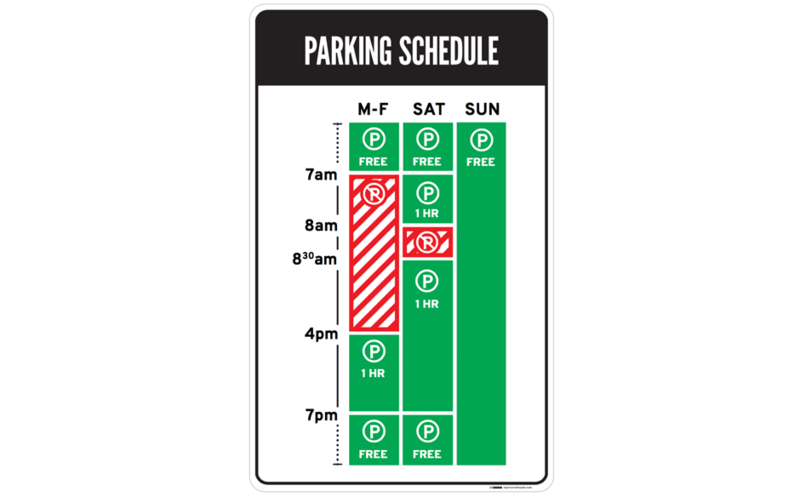 This is the parking sign we could easily seeing around in the US cities. It is not a good design not because it is normal and ugly, but it forces the user to read all of them to get fully understanding of what is going on there. And their user will only have one way to read it. Think about you are a driver hope to park your car from 4pm to 6pm in the street and has the normal reading order like from top to bottom. You will feel enjoy at first, because the first information you will get is that you could stop here during this period, but then, you will feel more and more anxiety, the other information comes behind are all bad news. Only 1-hour parking, and some rules about no parking anytime. “Do I break the rule of no parking anytime here? Will my car be towed away because I break the rule?” Questions come in one by one, and once you hope to confirm your situation, you have to read them all, because there is no other design system here to support it and help you quickly get the key information. Finally, you finish your reading and still not sure your understanding, but you understand there is only two choices left to you, stop here be ready for what may happen in the next 2 hours, or just run away and find the next one. 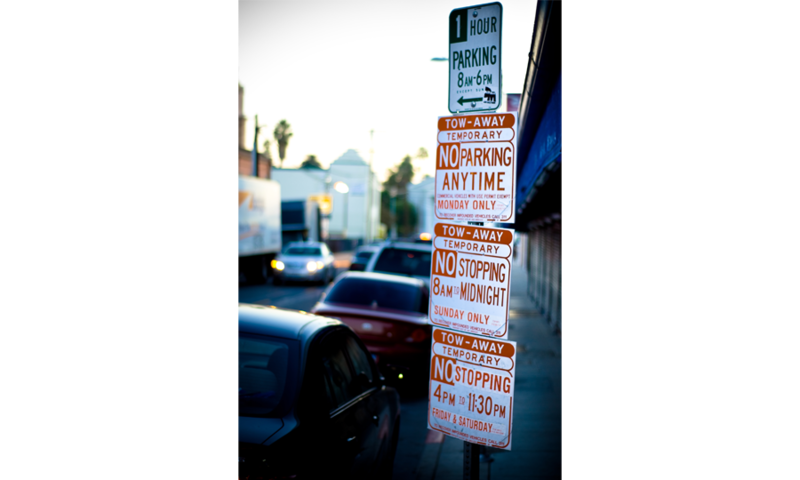 While if the parking sign is showing as the Fig.5, the situation will be totally different. Continually considering with the example mentioned above, the good design which could offer the positive emotion is those design which could answer user’s need quickly. As the Fig.6 showing, researchers consider 7 factor which will influence the user experience. In one sentence summary, those design which could let their user quickly find the credible information they desire and accessible to get the value of the information will be consider as the good and useful design. Generally, based on the reference, this is my understanding of how our design influence users’ emotion. As the parking sign example, the bad design will let the user get the pressure and fear to park their car in the place, and even make the user feel anger and anxiety. The good design will offer the user the way to understand their meaning, not to force them. And there is still more in this area of how to use human’s psychology and emotion to help making the design decision. 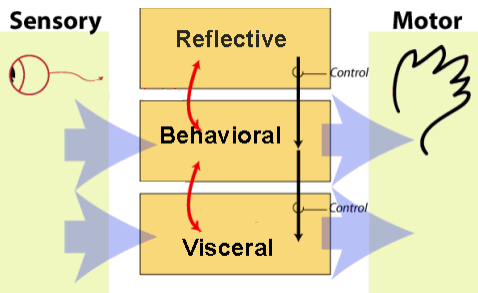 One theory example is as the Fig.6 showing, Three levels of processing” visceral, behavioral and reflective. Scientists trying to combine the knowledge from physiology to explain people’s change in their psychology way, and if for more information in this part, Donald A. Norman’s Emotion & Design: Attractive Things Work Better could be the recommended book. Norman , Donald A. Emotion & Design: Attractive Things Work Better, www.jnd.org/dn.mss/emotion_design_at.html. 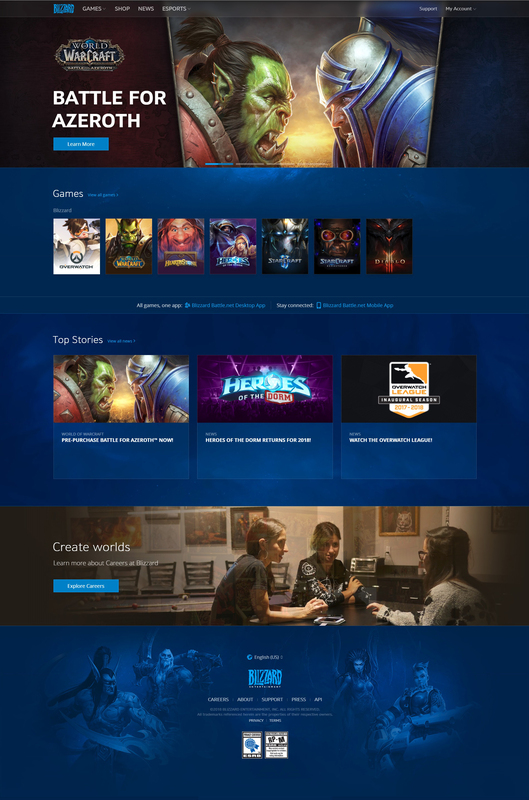 This website is the homepage for the entertainment company Blizzard. This website is mainly to generally introduce their products, exhibit what they already have, arouse people’s interest to take their products. And leave an entrance for their users to sign up or log in an account. What’s more, it also contains the careers link as other enterprise homepage during, to share their requirements. I have been the user of the Blizzard’s game for around 10 years and have pass through the change of the website we are going to talk about here, https://www.blizzard.com . First of all, I think this website is a good example of well design, the discoverability works well with the signifiers. Based on the Fig.1, use the homepage as the example, the website has an align left structure, and we could easily find the separated sections. Include the footprint, their are 5 sections there. From up to bottom, the first section is the advertisement part with the navigation bar. And then, three sections based on their contents. Game, Top Stories, Career and then the last one footprint. What’s more, they utilize the different background to separate the career part with other part, this lead the experience that the first two section are talking about the similar contents, they should be considered as one group, indeed it really is. Then, I would like to critique this website from up to bottom, left to right this is based on the natural reading orders. The first interactive and functional element on this page is the navigation bar, which is fixed on the top of the page. Each label here, includes the Company icon meets the rule of the signifiers (Norman, 13). Exactly offer the clue to help user understand how the button here mapping with other pages, in addition, nowadays there is the knowledge in our mind that the company icon will link to the home page. And the downward arrow here near some of the button, like Games, Esports, indicates the clue that there are two types of button here. The button without the arrow will just lead you to another page, and the other one will show you a dropdown list to offer more options. Users could expect this kind of response. Users could build the right goal before the start their actions, and after they finish their actions just as the concept of 7 stages of the action saying (Norman, 41). And finally, when they compare the action result with their goal, this part offers the correct response. This kind of design is good, simple, clear and has been widely used in the portal website for their navigation bars. What’s more, their designer separates those buttons on the navigation bar into two parts by giving them different alignment ways. The left part, all of those five buttons are about the company themselves, about their games, their news, their products. And for the right side, this part is designed for their users. They keep this kind of design for several years, and I also checked other websites, like Google, Amazon and so on. All of them have put the sign in button on the rightest corner of the navigation bar. I’m not sure when this design started to be used and for what reason, but I think based on Norman’s theory, for such a long time, this kind of design already build the reflection for users. Utilize the subconscious of human beings will help us meet the good design, and reflection is the only level which could be trained (Norman, 56). In my opinion, this kind of design may cause users get the reflection that they will try to find their login method on the right corner of the navigation bar. Then the second part, which takes the most space to talking about, is their games, their main products. The hierarchy for this website is super clear, their designers use the repeat method to let their users understand what they are really trying to talk about. We can find the game relate content three times on this page. As following images showing. Fig.4 After clicking the game button on the navigation bar and this is the dropdown list. Fig.6 The game section for their games. There are totally three parts of the website have the same contents, and same functions. Each learn more button, and the game cover will link the clicking user to the corresponding games’ homepages. 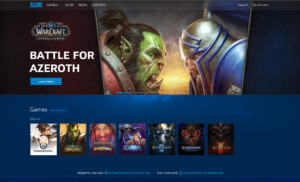 The relationship here between the game posters, and buttons with their target websites correctly and easy to understand. Like the switches and lights, you know which switch relate to which lights. They follow a one-to-one principle, so if the users know what games they want, they will not get to the wrong place. And to list all of their games simply like this, this be considered as follow the rules of lock-ins as Norman mentioned (Norman, 143). They list all of the options therefore, user need time to check the options, this could help keeping user stay in this page, and they are actions are limited by those options. But, one thing confused me here is the different order to list their games in different place. Based on my knowledge to this company, I understand that they have their culture conventions to put the World of Warcraft at the most conspicuous place. 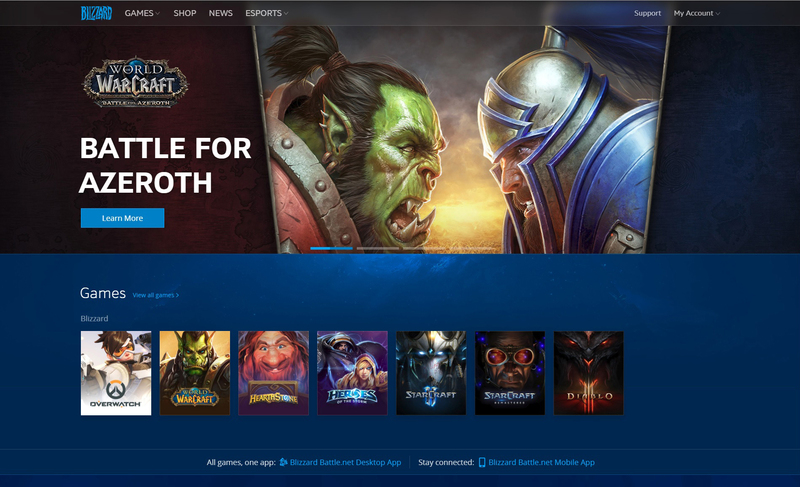 When you open the page, you will find the World of Warcraft’s advertisement at the first time. But in the Game section, and the dropdown list, their products Overwatch come at the first of those games. Overwatch has done the most impressive achievement in recent years among their games, I guess this is the reason they put them first, but when I open the page, I see the Warcraft first, and understand the reason, then I find the order is changed, also reasonable, but kind of confused for me, I would prefer the same order, unless there have some other reasons for this arrangement. And ignore the Top Stories part, this part is also similar to the game part, but when you open them, it is mainly the text document to introduce their games and game news. The last part, is the bottom career part and the footprint. This part is clear with limited labels and offer the clue of interaction. 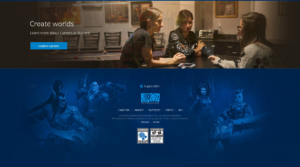 What’s more, the whole website based on their company culture blue, and they show the strong information that this website is focus on their players, and their players should be teenagers to younger adults, because their art style contains the feeling of serious and heavy. Generally speaking, this is a website hit the good design principles as Norman mentioned in his book. The designer of the website uses the game image to create the strong and easy understanding clue for their users for mapping their button to the target pages. The website gives the feedback quickly, that the users will not easy going to lose their focus. 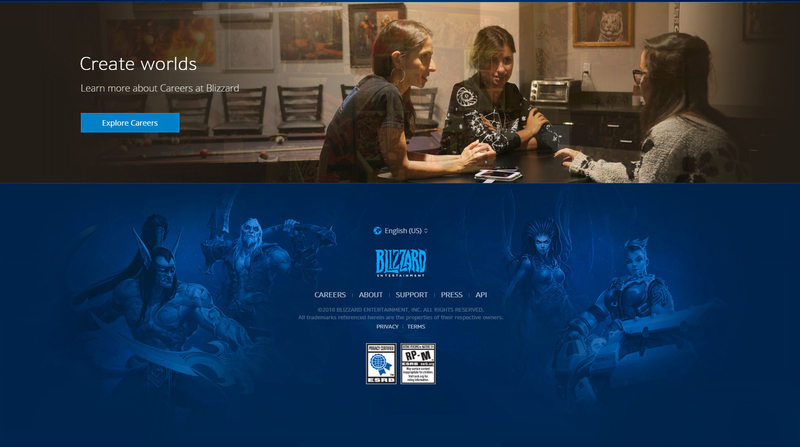 The art style follow their company culture, use their company color they used for serval years which is the most direct way to infect the users emotion, users could get the impression that this the company, Blizzard.